Productivity is built into every JCB wheelie, along with class-leading ease of maintenance, tough components and exceptional operator comfort. 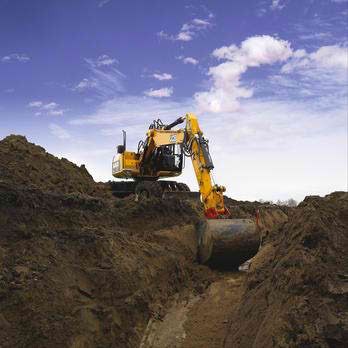 Four working modes mean you can tailor your excavator’s performance perfectly to any application in any environment. 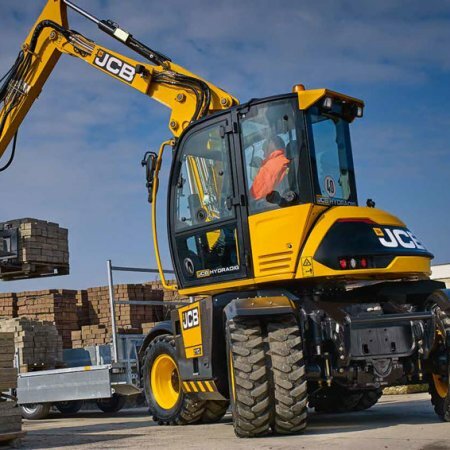 The JCB HYDRADIG 110W is a new addition to the range and a truly unique wheeled excavator concept, built from the ground up to answer customers need for better visibility, stability, manoeuvrability, mobility and serviceability. 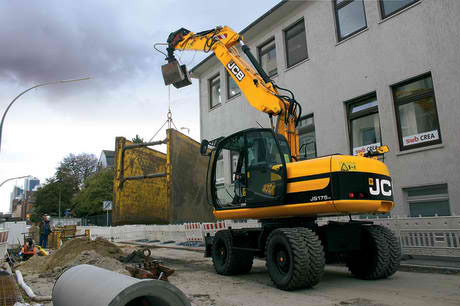 The JCB Hydradig 110W is the first true wheeled excavator. First for… visibility, stability, mobility, manoeuvrability and serviceability. 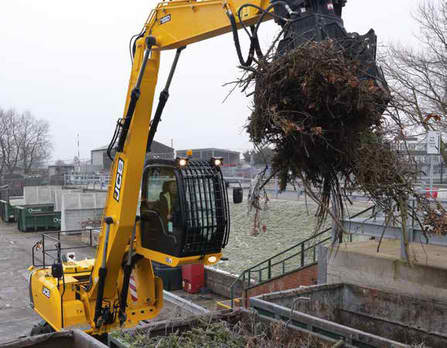 The JS145 is the 14.5 tonne model in the JCB range of heavy tracked excavators. Advanced hydraulics and a Dieselmax engine provide power, fuel savings, and productivity. 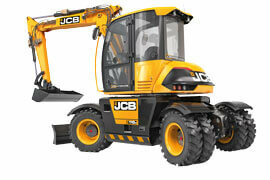 The JS160W is the 17 tonne model in the JCB range of wheeled excavators. An advanced hydraulic design and a EcoMAX engine provide fuel savings, productivity and long life. 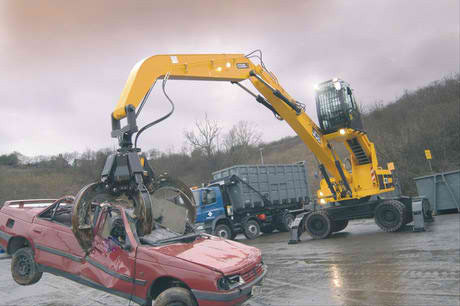 The JS175W wheeled excavator is the 17.5 tonne model in our range. An advanced hydraulic system and an EcoMAX engine provide power, fuel savings, and productivity. 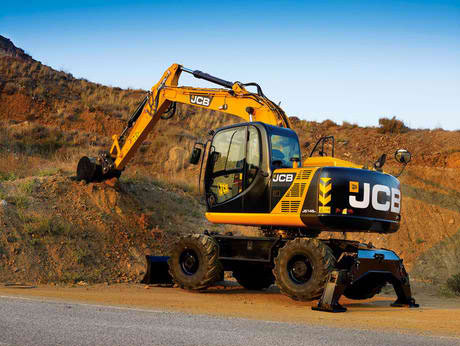 The JS200W wheeled excavator is the 22 tonne model in the JCB range and has advanced hydraulics and an Isuzu engine which provide power, fuel savings and productivity.